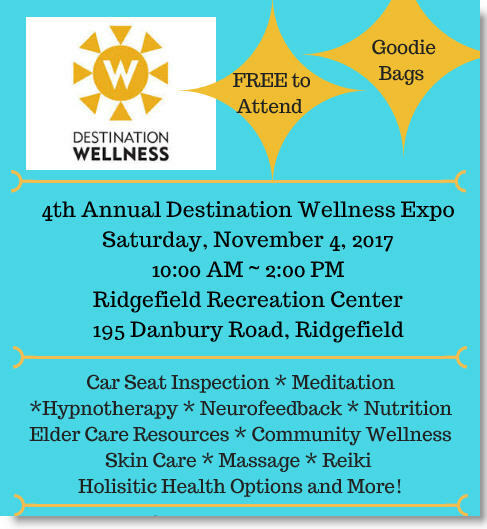 The Ridgefield Chamber of Commerce’s Annual Healthy Living Expo will return on Saturday, November 4, to the Ridgefield Parks and Recreation Center, located at 195 Danbury Rd., from 10 AM to 2 PM! Putnam Ridge has partnered with the Alzheimer’s Association to bring valuable information and resources to the Expo for those living with the disease and their caregivers. Joint replacement, cardiopulmonary and respiratory and other rehabilitation service information will also be available – look for Putnam Ridge’s table. Along with nearly 40 vendors will display a variety of products and services, such as massage, neuro-feedback, osteopathy, skin care, elder care options, community wellness initiatives, chiropractic, youth activities, nutrition, CPR and more. Come pick up your “Passport to Health” for a chance to win many raffle prizes, and a free “swag bag,” by visiting a full showcase of health and wellness vendors and resources. All ages are welcome to attend the free Expo, which is sponsored by the Chamber’s Health and Wellness Council. Putnam Ridge is a proud member of the Council and encourages the community to come and learn more about community health and wellness options. Bring your family in to indulge in some healthy food selections provided by Tiger’s Den that will be available for purchase! For more information visit destinationridgefield.com or visit putnamridge.com.